Zen, from its foundation in China of the 6th Century A.D., has always been more than a religion. It is an intriguing system of principles and practices designed to give each individual the experience of eternity in a split second, the knowledge of divinity in every living thing. To create a book about Zen, however, is risky. It is one thing to describe the factual history of this exotic strain of Buddhism. It�s quite another thing to successfully convey the crazy wisdom of the Zen masters, their zany sense of humor, and their uncanny ability to pass on the experience of enlightenment to their students. 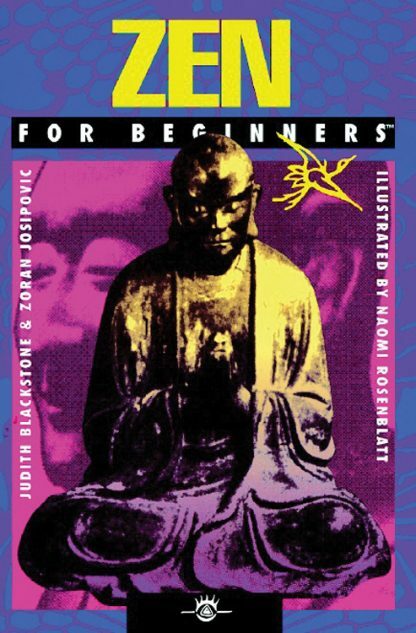 The authors of Zen For Beginners have clearly overcome these considerable risks. The book uses an engaging mix of clear, informative writing and delightful illustrations to document the story of Zen from its impact on Chinese and Japanese culture to its influence on American writers such as Allen Ginsberg, Jack Kerouac, and Gary Snyder. The paradoxical teaching stories and style of the Zen master are also shown as important keys to understanding Oriental art, literature, architecture, and attitudes towards life and death.